Veterans of the United States Armed forces are eligible for specific benefits from the government as compensation for their military service. Some of these benefits include education, vocational training, health benefits, life insurance, home loans, survivor's benefits, and compensation. 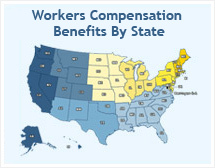 Compensation, as defined by the U.S. Department of Veterans Affairs (VA) typically refers to either compensation for a disability that is a result of combat injury or a pension for service personnel over the age of 65. The veteran's disability compensation program is offered to those service men and women who have suffered a wartime injury in a combat theatre. This injury may be physical (such as the loss of a limb or disease) or mental (such as Post-traumatic Stress Disorder). This benefit is paid through the VA and is not related to Social Security Disability. Typically, disabled veterans that are eligible for Veteran's Benefits are also eligible for SSDI or SSI. These are two separate payments from two separate agencies and therefore each payment requires a separate application process. Only veterans of the United States Armed Forces (including the U.S. Army Reserve and National Guard), their spouse, children, or dependents are eligible for veteran's benefits of any type. In cases where the veteran is deceased, survivors (including parents) are eligible for benefits. The VA will pay all service men and women that can demonstrate that they are at least 10% disabled as a result of their active duty service. For those claimants that are only 10% disabled the amount of monthly payment is less than those with a higher percentage of disability. The injury for which you are applying must be "service related." This means that the disability from which you are suffering was incurred as a result of your activities during the performance of your military duty. You must be presently suffering from your disability (it cannot be a condition from which you have recovered) and it must be medically diagnosed. The disability does not necessarily have to be the same condition you suffered during or as a result of your service. However, it must be a condition that is related to (or caused by) your initial condition during service. Many claims are denied on the basis that they are not "service related," so it is extremely important to have thorough medical documentation of your disability. The VA is currently experiencing a significant backlog of claims for veteran's benefits. According the United States Government Accountability Office (GAO), "between fiscal years 2003 and 2007, the inventory of claims awaiting a decision by VA grew by more than 50 percent to a total of about 392,000, and the average number of days claims were pending increased by 3 weeks to 132 days." (see http://www.gao.gov/new.items/d08473t.pdf) The GAO reports that the VA continues to struggle with significant challenges when trying to service veterans and process their claims. The VA has petitioned for an increase of funding in order to hire more support staff. Due to Operations Enduring Freedom and Iraqi Freedom there has been a significant increase in the number and complexity of claims. In 2000 the number of claims filed was 579,000. By 2007 the number had reached 838,000 and it is inspected to reach 872,000 by the end of 2012. While the VA intends to make improvements to the processing of claims, as service men and women return from Operation Iraqi Freedom and engagement in Operation Enduring Freedom is increased, it is likely that the VA's measures will be out paced by the pending increase in new claims. The application process for Veteran's Benefits is very similar to that of the Social Security Disability application process. As of January 2007, veterans applying for benefits are able to secure legal counsel to represent their claim. File an application through your local or regional VA office. Once filed, your application will undergo a determination process called a "Ratings Decision." This decision will determine your eligibility for benefits, your percentage of disability and the monthly payment amount. Should you be dissatisfied with your Ratings Decision you may file a "Notice of Disagreement." For claimants filing after June 20, 2007, they may hire an attorney at this point in the appeal process. Once the VA has received and reviewed your Notice of Disagreement, they will send you a statement of the case (SOC). Once you have received your SOC, the decision may be made in your favor or you may be required to submit additional evidence (such as medical records or written testimony). You may do this at your local VA office with a Decision Review Officer (DRO). At this review it is common to have an attorney or advocate handle the case on your behalf as well as provide personal a witness testimony as to the nature of your disability. After submitting further evidence the VA will return a supplemental statement of the case (SSOC). Once again, you may receive a favorable decision or a denial. Should you receive a denial it is at this point that you can request a hearing. You must file for a hearing before the Board of Veterans Appeals (BVA) within 60 days of your SOC or one year from the date of your Ratings Decision. There is a significant backlog for the BVA (more than a year and half as of June 2012). This hearing must be held before a BVA judge. However, you may request that the hearing be held at your local office. Should the BVA render an unfavorable judgment for your case you may file an appeal with the Court of Appeals for Veteran's Claims. The final stage of the appeals process is the Federal Circuit Court of Appeals. It should be noted that once your case reaches step four in the process outlined here it is highly recommended that you secure legal representation. The difficulty of the appeals process is physically and emotionally exhausting for those who do not have experience with the particulars of the VA system and the BVA. An experienced advocacy service or lawyer will advocate on your behalf saving you the frustration of dealing with a bureaucracy that is extremely difficult to navigate. Because most applicants cannot afford a lawyer, most attorneys handle their cases on a "contingency" basis and charge a 20% fee once benefits have been awarded to you. To have an attorney or advocate provide a free evaluation of your benefit case, click here.